When we announced the Model B+ back in July, we said that we’d also be producing a lower-cost variant, analogous to the original Model A. Since then, James has been beavering away, and today we’re pleased to announce the release of the Raspberry Pi Model A+ at a new low price of $20. More GPIO. The GPIO header has grown to 40 pins. The Model A+ is compatible with the HAT standard for add-on boards. When we announced Raspberry Pi back in 2011, the idea of producing an “ARM GNU/Linux box for $25” seemed ambitious, so it’s pretty mind-bending to be able to knock another $5 off the cost while continuing to build it here in the UK, at the same Sony factory in South Wales we use to manufacture the Model B+. You can buy the Model A+ today from Farnell or RS Components in the UK, and from MCM or Allied Electronics in the US – element14 (part of the same company) has more info here. Russell Barnes over at Raspi Today also has a review – check it out! Awesome! I’ll have to pick up one of those and a B+ as well. the A+ for my robot and the B+ for another little project. Yup the A+ just became the perfect robotification device. Perfect for use with a Polulo Zumo. And thank you, THANK YOU Foundation, for including all 40 GPIO pins on the A+ (robots like pins). Anyone got a direct link to where it can be bought from? Simon I hope this link will work. Ta – I found it on the CPC site and managed to order one but now the link/part number doesn’t work – I hope there’s one there when I pop along at lunch time! Will they send outside the UK, but still in the EU? The Romanian farnell website does not feature the A+ yet. Look for Farnell order code 2447906 maybe you can find it then. Update: it is available right now, I’ve just ordered it! It now shows up on the Romanian Farnell site but it’s still $25 instead of $20 (VAT and shipping excluded). Looks great for my robot projects. 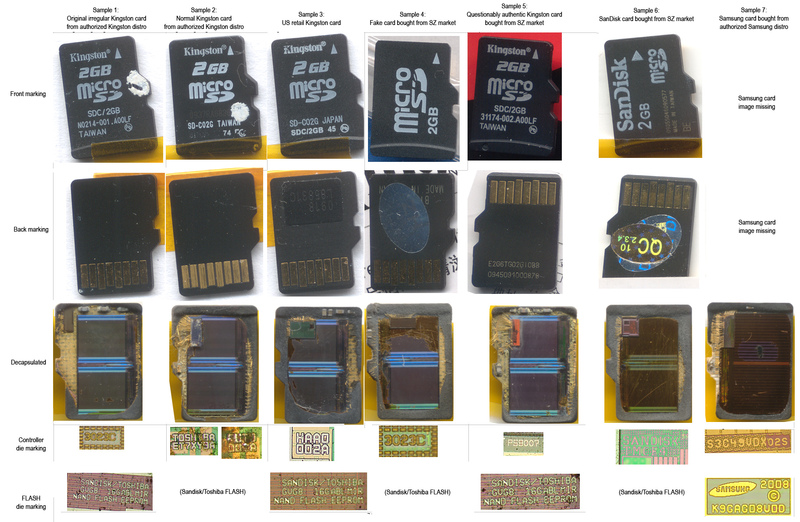 But it looks like the Micro SD is once again not fully covered by the board – great risk for breaking it. You do realise that all Micro SD cards protrude slightly, right? They’re designed to do that *or else you can’t remove them from the device*. That’s not quite true. On tablets and phones you often have to reach in and poke them with a finger nail or paper clip to eject. That’s correct: that’s usually the standard on devices where there’s no expectation the user will need to remove the card. Pi users, however, do tend to swap theirs around quite a lot! Since I lost my preordered Pi because of a broke SD Card reader I am sensitive to such stuff. From the micro SD Card slots I know it would be perfectly possible to mount a push-pull card slot on the back so one could remove the micro SD by pushing it with the finger nail on the back. But anyway – the design is finished and the community has to live with it. In all seriousness though, you might be surprised if you polled your Model A buyers as to whether they’d prefer the card protruding or flush. The only project so far where I’ve had need to use an “A” was where size was everything! I spent nearly as much on a micro SD adaptor that would sit flush into the board than the cost of the Pi. I still had to take a Dremel to areas of the board to get it to fit the enclosure (along with removing the composite connector and bending the needed IO pins to an angle). So well done on the smaller board for that reason, but don’t assume the inconvenience of having to perhaps use a thumbnail to remove the card would have outweighed those couple of extra mm! BTW where can I buy it now for $20 plus shipping and taxes? RS have it for £20 + £4.95 delivery + VAT. Last I checked there were about 1.6 US$ to the pound. Yeah, my first Pi had a broken socket – but these guys have METAL sockets! Oh, well done, Raspberry Pi Foundation! This is brilliant, gonna make my (delayed) Remote-squirrel-monitoring-in-the-Finnish-forest project SOOOO much easier. As I’m temporarily working for the company that donated three solar panels and a battery for it, I’ve no qualms about buying a couple. to which I replied “Oh, a couple of beers and a kebab each” – which is about what the new model A+ is! The design allows for the thickness of a case – any further back and it would be inaccessible once you put the Pi in a case. That makes sense. Difficult to please both people who use theirs naked and those who use a case. Just put in an order for one! There’s been several projects where I’ve wished the Raspberry Pi was just that little bit smaller, and now it is! Again a good step avoiding the potholes! Goot that You don’t fork the hardware base in dozens of types fragmenting the support of the user base. Brilliant move! Congratulations to the Foundation – I’m more excited by this than even the B+ (and I was very excited about that!). This is going to be exactly right for replacing the existing Model A in my mobile robot – I expect to get even more time out of my battery pack. what does it weigh? The Farnell site has it at 54 grammes but as the B+ weighs 45 grammes that can’t be right! I suppose for some people weight might be important. Hang on and I’ll stick one on the post scales! okay, it weighs 28 grammes! Has yours got more data on it’s microSD card than Liz’s? No I was in a hurry and made a mistake, its indeed 23 Grams, its in the second video, at 2:19. Is there going to be a A+ and camera bundle available? Is the SoC built on the same process ? can we expect better tolerances to overclocking ? just asking, you know, in case. Great job, the A+ looks really cute. It’s exactly the same SoC. I’ve been waiting for the A+ since the B+ was first announced. I was expecting an improvement, but this has exceeded my expectations – smaller and cheaper! I’ve placed an order for two already. You are the best. That’s all. Pricing is strange though: in France it’s 17,40€, while here in Belgium and the Netherlands they are 24,01€ (and at CPC 24,80€, all w/o handling fees, taxes etc where applicable). Nothing the Foundation has any control over, I imagine. Oh, didn’t see that, thanks a lot !! Sorry if I’m being blind but I can’t see the other two dimensions! I suspect the PCB will be depth as a B+ and height shorter than a standard Model A Pi? The height is approximately 12mm – the highest component is the GPIO header which protrudes through both sides of the board. The PCB dimensions are 65 x 56mm. The USB connector protrudes ~2mm from the edge of the board, as do the audio and HDMI jacks. Yay. Finally cheap enough for HTPC use. My 60″ plasma and tannoy defenitions will love this. Features: 700MHz Dual Core VideoCore IV Multimedia Co-processor, 256MB RAM, 1 x HDMI & 1 x USB Port. I know you have the CPU and the VideoCore but it could mislead some people saying ‘Dual Core’. The VideoCore itself is a dual-core processor. I can see how the description is confusing though: it should read 700MHz ARM1176 with 250MHz dual-core VideoCore multimedia processor. I had wondered if the opportunity would be taken to bump the RAM up to 512 the same as the B+. Was this considered and rejected? Would it have affected the price? It’s still perfectly good for even HTPC use. See OpenElec. It can run systemd, wifi, bluetooth, samba multimedia shares for PC, sshd, ntp, pulseaudio, airplay, web server and play 1080p video on rpi. Pretty awesome. Been stuttering for ages and not bought one of these little things yet – time to get on with it. Brilliant – I think you have excelled yourselves! This is just the job for us robotics dabblers. I was expecting all the B+ similarities, but the smaller form factor is a real bonus. And of course it’s compatible with my other Pi’s. I have ordered my first two (saves hassle on the Farnell website with its £20 minimum). In my opinion, a well thought-out product that deserves to succeed. The Foundations pricing has always been excluding taxes and postage. CPC has a trade counter so you can buy it with no postage! Been trying to find it on CPC’s website but can’t find it. Any links? We’re speaking to RS – that price is incorrect, so I’d advise you to shop around for now. $20 is always ex VAT and shipping, as our headline prices always are (if you’re a school, you’re exempt from VAT). ie.farnell.com lists the ex-vat price in euro at €24.01, which is equivalent to 4c shy of $30. That’s the ex-vat, ex-shipping price. Would you thing that this is a mistake? I bought a couple yesterday at this price, but was feeling rather unhappy about it, especially since I’m also paying vat on top of that. By the way, I’m delighted with it, great form factor, well done! Thanks for letting us know; if anyone else spots prices which are off like this, please make a note of it here or email me, and I’ll pass it on to Farnell/RS. In South Africa I just payed R320.85 (Ex Vat and shipment from the RS South African warehouse) equivalent to $27.47, (using a typical R11.68:$1 exchange rate). Please see if you can reduce the South African price, that may result in a nice sales boost. In fairness to the Raspberry Pi team, the additional costs of tax and shipping will vary from place to place so to quote the basic price is the only fair means of comparison. I would guess that most people understand that. I think you are in error on the Element 14 price – I have ordered two and was charged £37.22. There is no separate handling charge. Mine cost £16.84 including delivery from CPC. That’s close enough to $20 for my liking especially as that also includes 20% VAT. And I see http://www.raspberrypi.org/ has had a makeover too. Mechanical docs will be there soon! For a product designed, developed and manufactured in the UK, I don’t understand why the headline price is listed in dollars. I know you’re proud of manufacturing them in the Sony factory in South Wales, so you should be proud enough to price it in our currency too! The components we buy are priced in dollars, and we negotiate manufacturing in dollars. Because currency markets are so volatile, we price the final board in dollars too so we don’t have to keep changing the price. My suspicion? The Rπ is priced in US$ rather than GB£ for the benefit of us dumb Colonials who can’t spell properly (“defense”; “color”; ad inf. ); and who likely would interpret the cost as the weight, and therefore refuse to buy because of the implied cost of shipping. I will buy A+. i cant believe you build a very cheap and smaller pi and has more GPIO. i have already one pi the Rev B. but i want more GPIO pins. Hi, new to the Pi world so excuse my ignorance….for the A+ there is no feasible way for a network connection other than USB – correct? you’re correct – B+ has ethernet & 4 nics A+ just a single usb. Although you could add a usb hub & run whatever off that – but it defeats the purpose of the tiny board ! For a newbie – go B+! It goes only as fast as the UART goes (GPIO Tx/Rx need some signal conditioning if you want it to go more than 2 metres) but is an easy low-cost moderate-bandwidth networking option. No! There are many other solutions, for example Microchip makes a range of SPI to Ethernet chips, and there are also SPI to bluetooth chips, so a HAT board can offer both ethernet and bluetooth interfaces. Obviously the performance will be limited to the throughput of the SPI interface! Congratulations Foundationeers on your new Baby. Awesomely sensible engineering choices and backwards compatibility to dream for..
Compute module when you want to take over the world.. I was looking at doing the slim-down hack by de-soldering the ports on a B+, but now there’s no need, the A+ is perfect for those types of project. Well done to the foundation! The form factor is great, really makes the A+ usable for stuff the B+ is too big for. Ideal for robotics. Awesome!! I’m so glad you guys aren’t caving to the people who are saying “We need a slightly more expensive more powerful version”. For the IoT hardware projects, it’s all about low cost and power consumption, and the A+ looks like a step forward as far as that goes. Has anyone tried running it with Linux in tickless mode or with a tickless OS to see just how low the power draw can actually be? Our default shipped kernel uses CONFIG_NO_HZ_IDLE=y. This turns off timer interrupts when the ARM CPU is idle. The CPU (and in fact the entire architecture) are configured for low-power hardware states when idle. I would expect that with the new lower power consumption of the A+ (20-25% less than the A) it will be even more attractive for battery-powered projects. Now you need to package a DSI LCD, the camera, a small LiPo battery pack, and a case, and you have a GoProClone kit! Depends which XBMC you’re using – some (not all) of the XBMCs people have designed for the Pi are quite (well, *relatively*) memory-hungry, so you may find yourself buffering. To be on absolutely solid ground, we’d recommend you use a B+. FWIW, I´ve been running XBMC (Openelec) on a B (not B+) with 256MB RAM overclocked at 800MHz and using a USB wireless adapter (no mouse or keyboard – I use Yatse on my phone) and I´ve had no problems at all (appart from a one time freeze which might be related to something else I was doing). I use it to watch youtube videos, Netflix (via PlayOn) and some stuff sent from my Android phone. Since the A+ has the same processor and RAM it should work. My first-gen Model B with 256MB RAM worked fine with an early version of Raspbmc with one exception, that pausing a video and playing again would cause artefacts for a few seconds. But, Raspbmc has moved on enormously since then so it’d definitely be worth trying again. To add another data point, I’m also running XBMC OpenElec on an original day-one purchased Model B rev 1 (black audio connector) with 256MB RAM (although with wired ethernet not wireless) and it is also entirely flawless. It streams from a Netgear NAS over homeplugs. I did used to run RaspBMC on the same device and found it a teeny bit more sluggish than OpenElec, notably on UI selections & transitions, but certainly more than usable and the actual video streaming was fine. I’ve been using openelec on a 256M model B (one from the 2nd batch that was made in China). I use it mostly to play back movies from a SMB server and an NFS server…. it works OK, but it does freeze a lot, requiring a hard reboot, and it seems to corrupt its SD card pretty frequently (I’ve gotten in the habit of pulling it out and running fsck on it about once a month). I’m planning to upgrade to a B+ soon for XBMC/openelec purposes to see if some of these problems go away. So your results may vary. Frankly, I’d spend the extra $15 if for no other reason than to get the extra memory (even if it doesn’t matter much now, I’m sure it’s only a year or two before XBMC simply won’t “fit” in 256M). I think where the A+ will really shine is truly small “embedded” type applications! The fact that it can act as a “wifi to GPIO gateway” to monitor and control other pieces of hardware for less than $30 (usb-wifi modules that work with rPi are now <$10) is really incredible! RPi system can simultaneously run systemd, wpa2 wifi, bluetooth, samba multimedia shares for PC, sshd, ntp, pulseaudio, airplay, web server and play 1080p video with 7.1 sounds and bluray psg subtitles. That price reduction has just bought you yet more front page space and TV minutes in which to influence ‘decision makers’ and change the world! I don’t know how much chips cost in London now but £12.58 for a proper computer is mind boggling. Is the GPIO pinut the same as the B+? The small size/power consumption definitely look attractive. The small memory is not so attractive. As pointed out, versions of XBMC for example, which have been tuned to the 512mb Raspberry Pi are likely not to work well on this one. Image processing may also require additional memory in autonomous robotic applications. While increasing RAM to 512 might increase the price, if it would not noticeably increase power consumption, this would be much preferred for software compatibility with other Pi models. Still, I can see many uses for this little computer. for a media player the B+ is a better choice anyway, because of the ethernet interface! The A+ is much more for embedded controllers and such things, that need very low current consumption, and don’t need memory for the GPU, or an extensive GUI. I expect 256GB will be more than enough for 99% of user cases. Well no, Wifi can also be fast. 802.11n is 300-600 Mbps. Our TV broadcasts are < 5 Mbps. DVD bitrate is 9,8 Mbps. Should be sufficient for all video RPi can play (that is less than h.265 4k). >”Wifi can also be fast. 802.11n is 300-600 Mbps.” I think you will find in real life that any flavor of wifi on the R-Pi (any model A,B,A+,B+) is always slower than wired ethernet, and it does not remotely approach the numbers you quoted. Sure, in reality the 300 Mbps wifi might be 30-50 Mbps. It’s still fast enough for video. Is there anywhere that I can see a list of Pi projects that translate well to the A+? I’m assuming that the only problem would be the smaller RAM, otherwise, most would translate well. I’ve done tons of projects on the B, but never played around with the smaller versions. But has the Altoids Barrier been broken? It looks as though it will fit nicely once the necessary holes are made. I wish the pdf had included side views and I knew how to print full sized- I’d use it as a cutting guide, not forgetting the thickness of foamie craft sheet to be used to insulate and cradle it… I may end up trying to use it as a HTPC. The XBMCs I looked at on YouTube were all well larded with animations, posters, background images… but if I keep looking I’ll find one that is slimmed down to the bone… Maybe *one* background image, like the RCA “Indian Head”. Or perhaps it will end up as my RACHEL server/WiFi hotspot! Thanks for bringing us this, my Pi #4! Very nice new board! Smaller, cheaper and more power efficient. I love the new size, I can see a great mini radio project coming on. Price is brilliant too. Bravo. Smaller, more power effeciant, and cheaper. OK fine only one USB port, but the power savings have to happen somehow, and plenty of applications where the USB/eathernet cluster of the b+ is simply too bulky. I have projects in mind and now even less excuse. I think you made the right design decisions- small, cheap, and compatible. The price is amazing, didn’t expect that. Nice work! Just ordered one from CPC – its £16.84 inc VAT and UK postage. Is it safe to assume that the mounting hole locations relative to the 40 pin header are identical to the B+? Shouldn’t it be the “A-“? No, the A+ relates to the B+ as the A related to to B, also the A+ is a step up from the A.
It’s a step “up” in everything except price, size, and power consumption. Why would you want to give it a lower grade for being cheaper, smaller, and more environmentally friendly!? I think he was kidding! I sort of was too… bad jokes all around, I guess! I would pay money for a good “this is sarcasm” font. being very close to finishing my project (which has been designed for/around the model A), I wonder if you will still continue to offer the classic model A? I would frankly not be too happy to see the model A becoming EOL (or soon). So how are your future plans regards the model A for the next 1-3 years? Oh, secondly, will you be in munich by any chance at the Electronica tradeshow? Would be a pleasure to have a chance to meet /talk to some of you guys personally. $10 shipping from Element14? You have got to be joking. I could send these usps all day for $5 bucks as a lowly residential shipper, 2 day flat rate. Someone please speak to these guys. I might as well buy model B+’s from RS. Some of that will be handling charges. Somebody has to manage to get the Pi A+ into the shipping folder/box/whathaveyou without dropping and losing it. I can understand some handling fee, but this is a bit excessive. If they ship a non-contract rate, which is silly for a company of any size, they are still doubling the price for handling. Usps priority runs $15 for 2 day on a package no bigger than an altoids tin. I want two of these so bad for a project, but the shipping makes them cost almost as much as buying 2 B+’s off ebay. I totally agree. A $10 shipping and handling fee is unreasonable for such a small product. Last year I bought a model B from them and S&H was $5.50 which is fine. In July of this year the model B+ from then had a S&H of $9.10 and now the A+ S&H is $10. Unreasonable! I will wait for other retailers to offer it. I will not spend $10 for S&H. They crossed the line. Will Gert’s VGA adapter 666 for Raspberry-Pi B+ work with the Model A+? Since Model A+ is compatible with the HAT standard via 40 pins GPIO header (Same as Model B+). What’s the point of having a computer without a network port? If I want an ARM processor with many I/O pins, I can get an Arduino Due for cheaper. No you can’t! The Due costs about £35 and is a 84MHz ARM with 96/256K memory. The A+ is a 700MHz ARM with 256Mbytes of RAM, costing about £14. Plus the Arduino DUE doesn’t have an ARM processor, and doesn’t even support USB, or any kind of video output. On the A+ you can easily add an USB WiFi stick. The Arduino is simply a cheap micro-controller, of the kind you will find controlling a micro-wave oven, stuck on a small PCB, with a serial interface. 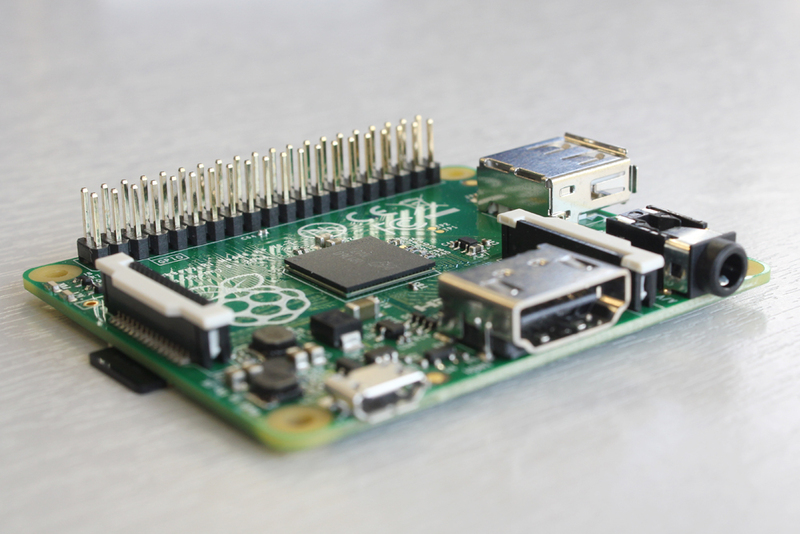 The PI Uses a complete computing System on a Chip (SoC), and now the A+ is cheaper than an official Arduino board! Correction, the DUE is the first “Arduino” that uses an ARM, instead of the proprietary CPU of normal (real) Arduino’s. >What’s the point of having a computer without a network port? Having trailing wires on your portable device such as a turtle, robot, quadcopter, glider etc. is considered undesirable (and in the case of the quadcopter, hilariously dangerous). It has one USB port, which is where you put your nano WiFi adaptor. You then configure/debug the WiFi using UART serial console and wicd-curses (been there done that!). > I can get an Arduino Due for cheaper. Yes, but the implementation of Linux that you can run on the Arduino is *massively* less capable. 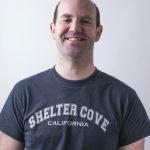 And programming the Arduino with anything other than sketch byte code – Python, for example – is monumentally hard work. The Arduino is brilliant, if what you want is a really good microcontroller. The RPi A+ is about having a fully-fledged Linux machine in portable form. You are making me feel really, really old. Here goes a “it was all big-endian fields round here when I was a lad” moment. The first computer I ever used was the Harwell Dekatron, although it was 1973, I was 2, and my dad let me push only one button (it printed out Snoopy in what today you’d call ASCII art, although I don’t think the Harwell actually used ASCII). For the next 15 years, I was a computer geek who hardly ever felt the need to connect my computer to another computer. It just didn’t occur to me. I wrote my own programs, I programmed my own friend. I played adventure games that engaged me in conversation. I occasionally got paid by magazines for short programs I’d written; and those magazines were how I communicated with other users. I find the question “What’s the point of having a computer without a network port?” a bit of a generation gap. On the one hand, it’s a bit sad that you think of a computer as merely a tool to communicate with, rather than an engaging device in its own right. On the other hand, I suppose it’s nice that tech has reached the point where unlimited communications seems normal. Hey ho, time to teach the next generation. Join me at the Cotswold Raspberry Jam in Cheltenham on Sat 22 Nov (only 5 tickets left, and it looks like the children will outnumber the adults – one poor parent seems to be bringing 3 kids; as a dad of 3 myself, best of luck to her!). If you hear a scream, don’t worry, it’s only the jelly babies. Is there any way to send to Portugal?! I’m just glad that the hdmi and power are finally on the same side of the board! They have been since B+ in July. I just watched The Undiscovered Country for the first time in about 15 years. Horrified to find that it left me cold; I remember LOVING that movie. Try as I might, I do not get the impression (and I’ve read most of the “official” books, as well as Broadcom’s technical offerings) that the π’s processor can output data in parallel; either one byte at a time, one nibble at a time, or one word at a time. If this is indeed true, then the π’s Broadcom chip runs counter to the design of most microprocessors, which use only one or two instructions for data I/O, depending upon whether or not the processor’s data I/O is rsgister-based, or memory-mapped. To make it easy for you: Is the Rπ’s Broadcom chip designed for easy PARALLEL I/O or not? A simple ‘yes’ or ‘no’ will be more than sufficient; justifications not required. And: many thanks from me and all ‘traditional microprocessor’ users everywhere. Hats (no pun intended. On second thought…) off to you and all the Rπ crew for your outstanding, informative work. Yes, although I don’t think it matters one iota. I am sitting next to one of the chip designers. I know you didn’t ask for justification, but see e.g. In http://www.raspberrypi.org/raspberry-pi-guy-interviews-clive-gordon/ Gordon talks about this extra documentation being worked on. The actual IO is done through IO registers which work with a group of pins. However there are a couple of things that make life tricky. Firstly the GPIO pins on the Pi A and B were selected for what special functions they offered, not for corresponding to a consecutive block of GPIO pins that could be easilly used in paralell. The A+ and B+ are much better in this regard, you have access to GPIO 2 through 27 on the GPIO header, I think you can also get 0 and 1 from the camera connector if you are prepared to deal with flat flex cable and are not using the camera. The compute module is better still giving you access to ALL the GPIO pins. The other weird thing about the chip on the Pi is it has seperate “set” and “clear” registers, this avoids the need for read-modify-write code but means you have to perform two seperate operations (and hence will inevitablly have more timing skew) to set a group of pins to a new state. The Farnell price, in the UK at least, includes shipping – there is no separate handling or shipping charge. The Farnell UK price is GBP15.51 before VAT. I can get model B+ for slightly higher price at different shop. A+ GBP15.51 = $24.54, that’s almost 25% more expensive than the RPI advertised cost (and for the UK shipping is only free if you spend more than £20). I’m buy from Farnell Ireland (at €24 mentioned above) but its shipped from Farnell UK Warehouse as far as I’m aware but this cost is 50% more than the RPI advertised cost, it would be great to see something done about this by the RPI Foundation. Element14 lists the A+ for $20.00 but unable to calculate shipping for some reason. USD20.00 equates to about GBP12.65, so at GBP15.51 Farnell (UK) is adding less than GBP3.00 for shipping and handling. That’s fairly normal – some component retailers charge a bit less, some a bit more. You can’t really expect Farnell to stock it, pack it and ship it to you for nothing. @exartemarte I think you missed that all our prices (well mine anyway) are excluding shipping & VAT, shipping is £3.95 extra. No, I didn’t miss that – I was just commenting on the situation in the UK, which is the only one I know about. I got my two for £15.51 each plus 20% VAT. I appreciate that not everyone is as fortunate as we are. I can’t tell if the mcmelectronics.com version of the A+ comes with a US 120V power supply or non at all. Their e14 website says “Micro USB power source” but its not clear if it is only describing the connector or if its saying that it comes with a power supply. Does anyone know? Paul – this part is just the board — MCM Part #: 83-16459 | Raspberry Pi Part #: RASPBRRY-MODA+-256M. You can tell because of the price – $20 – they don’t give away extras. Can I just point out how weird we all sound when praising the smaller size: “We had this ridiculously small computer and it got even smaller!”. The original size was an impressive feat of engineering so it does seem weird when the comments make the B+ sound like Asimovs multivac (in size). That being said, anyone know the cheapest supplier to Finland, I want six? 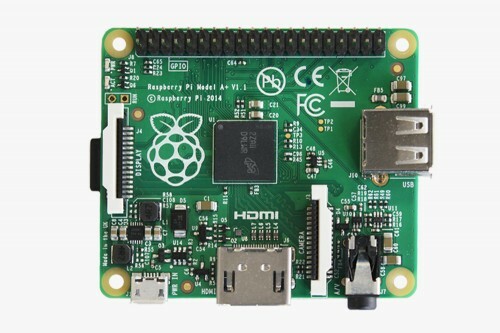 I want to buy one, but I don’t have any previous models so I can’t use another prepared SD card to run Raspbian or Raspbmc, because they require an Ethernet connection to install and the A+ doesn’t have one. Is there anyway do get full Raspbian on my SD card and run it on the A+ without Ethernet, then setup WiFi, then format the card and install Raspbmc and install it over WiFi? The standard NOOBS includes Raspbian, and doesn’t need a network connection to install Raspbian. Also, you can always install any OS the classic way using DD, and there also seem to a way to put an OS on the NOOBS card to install it off-line, I saw a forum discussion about that. They say it’s low power but I find no metric about the power consumption. Of course, actual power consumption will depend on peripherals and the application but it should be possible to provide the standby current when a minimal system is in sleep mode. When I work on my app, I wish to compare against such benchmarks to know if I am going wrong somewhere. Thanks. clock stretching bug that plagues the earlier models? I wouldn’t have thought so as that’s a SoC hardware bug, and AFAIK the ModelA+s are using the identical SoC to all the other Pi models. How about a side-by-side comparison chart of all the RPi models??? How do you connect it to a monitor? And do you people ship the product to Africa (Ghana precisely). Through a HDMI connector you can connect it to a HDMI or to a DVI-D monitor, (or to a video converter) through the TRRS 3.5 mm jack you can connect it to a composite monitor/TV. Through a small passive adapter on the GPIO header you can connect it to VGA. Farnell and RS Components ship worldwide, or resellers that buy from them might. Sorry, but where I can buy this at $20 USD? Somewhere where you don’t pay value added taxes, nor pay for handling or shipping. Farnell and RS are the official builders and sellers of the boards. I don’t find the schematics. When do you expect to publish this file like the other models ? Don’t know, but in the meantime you can look at the schematics for the B+, and discard the LAN9514 USB HUB/Ethernet adapter chip. I will be curious to see where is the dedicated low-noise power supply to increase the audio quality. just guessing, but on the B+ its U10, a AP7115-25SEG. With just 5 pins (in a OT-23 or SC70 package) it very tiny, it creates a noise free 2.5V for the PWM buffers. Its easy to overlook as its so tiny. As we say in the Navy, Bravo Zulu! LOVELY to hear from you – I was getting really worried at the uncharacteristic silence! I unfortunately don’t have the equipment to be able to test myself, but has anyone seen if the new A+ still fits nicely in LEGO-built cases? My 512mb Model B is always being used for .h264 video (playback + downloads); python; word-processing with conversion to PDF (uploaded to R-Pi server + dl to tablets). I’m very far from being a Maker but even I can see most of them will be thrilled with your A+…. Well done guys and Long live the Evolution! I can’t understand why anyone would buy an A+ when a B+ can be had for $29 on sale. With only 1 USB port, no network port and half the memory the A+ seems like a worthless piece of junk to me. What am I missing here? The B+ is already cheap, cheap, cheap, so what’s the appeal of a stripped down PI for a few $$ less? It’s smaller, lighter, uses less power and is cheaper. Apart from that it has no advantages over the B+. It has one further ‘advantage’. The USB current control circuit is absent, so it can be back-powered. This makes it more suitable for use with a Lapdock. For me it is a splendid development. I just received my A+. Strange that the NOOBS image from this same website reports its version of Raspbian as “not supported”, what is up with that? That would be because NOOBS and Raspbian were released before the Model A+ was, and so simply see it as an “unknown” Raspberry Pi. Something that I’m sure will be fixed during the next Raspbian release. Really great work, thank you very much! Just one disapointment – which is about enhanced audio. I have written my experience with B+ audio to the forum: The Raspberry Pi Model B+ Q&A thread on Fri Aug 08, 2014 9:27 am. I have tested B+(A+) audio (via analog output) and yes, personally, the reproduction itself sounds a bit more real and rich than it is at B or A models. And default output level is aprox 3db louder. Thanks for that enhancement. But I have found that there is some slight level of noise hearable from my B+(A+) model in case that a “silence” is played. I have tested it using a couple of headphones only (have no opportunity to test it with profi sound equipment or osciloscope yet). Level of this noise is not affected by volume control, and is hearable only when “silence” or very low signals < -20db music (wav/mp3) or < -40db 1kHz signal (wav) is beeing played. When the signal is higher and fades out to silence then after aprox 2 seconds the noise reappears. Model B and A have no hearable noise – it is clear silence when clear silence (wav/mp3) is beeing played. I have tested it with "omxplayer -o local" (latest software and firmware (6.Aug) + firmware from 1.Aug – (and additionally on A and B with SW+FW from 18.Jun 2014)). It seems to me that some kind of signal compression or ALC is used somwhere at the sound path. Does someone other noticed this behaviour? Or does someone know if there is some kind of ALC used at B+(A+) model? The same results are with today's apt-get update / upgrade / dist-upgrade. We’ve been working on the sound from Scratch recently after some complaints about the quality suddenly changing for the worse. Part of that was a dumb-thumbs on my part, but after correcting for that there is still the ‘silent hiss’ issue. c) changing that config on your Pi might cause the collapse of the quantum vacuum energy level. I have done quick test and looks that it works. Silence is silence and yes, there is a little distortion hearable in signals around -80db. From aprox -60db it looks/sounds clear. I will do some other tests later, with dither off/on including professional mix and power amplifier, not only headphones. What went wrong with pricing? The new A+ is announced as 5$ cheaper than the original model A, but the price here in Denmark from RS is exactly the same (actually a few ører more expensive). And RS’s prices excludes VAT and shipping, so it clearly seems like RS are using the A+ to increase their profit margin. As such it might not be the big deal, but I am a little offended by the release of a product that claims to be 20% cheaper, which by the end of the day turns out not to be cheaper – there are then other reasons for using the A+ instead, but that’s another story. is there any mechanical drawing of the A+ board? I’d love to see measurements of the board. I would love to see an even simpler board for sensors. Remove everything except USB for communication, IO pins, SD, and power input. What would be absolutely perfect is if insertables such as USB were oriented from center out rather than the inverse as they are now. I am building a small 10″ tall man doll that will say comments to people and respond to what is answered back. What module is the right one for this purpose? I need to load in to it phrases by a human voice that will answer to keywords spoken from someone nearby. Please advise me. Thank you very much! Probably best to ask the question on the forums, more likely to get a decent answer.